When coconut and raspberry are put together can you REALLY go wrong? 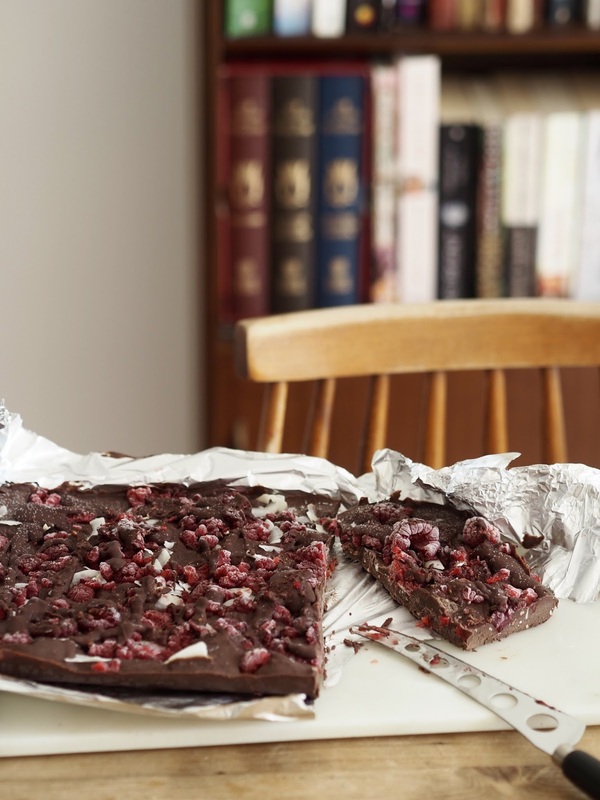 I get it, you’re busy, you’re tired, you’ve got a million things to do and all you want is for someone to tell you how you can get this raw chocolate and raspberry fudge delivered to your front door so you don’t have to move from your Netflix & Chill situation for more than the time it takes to answer the door. 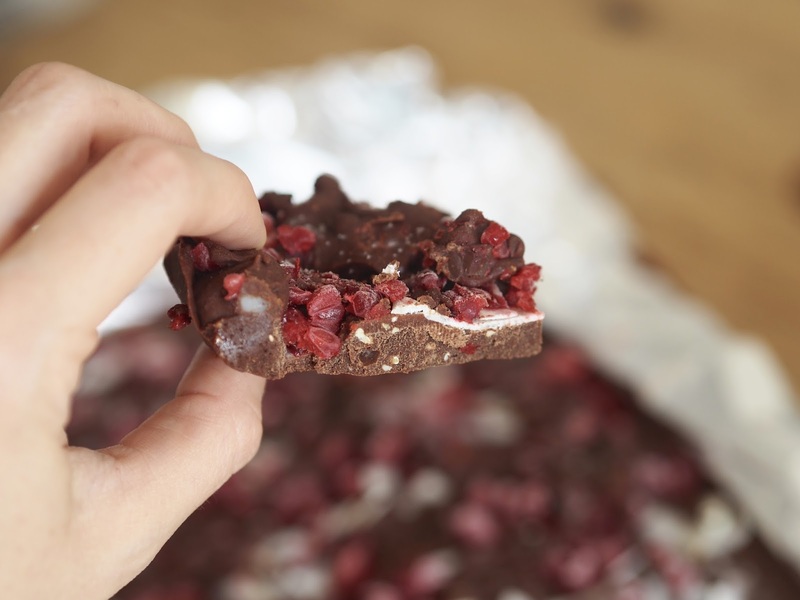 Unfortunately, ‘food delivery’ hasn’t made it into the list of careers I’ve tried out in my lifetime, but I can promise you that if you have these ingredients in your kitchen then this is a quick and easy way to get your raw chocolate fudge fix. If you don’t have the ingredients, send someone out to get them STAT. This raw chocolate fudge uses honey so it’s refined sugar free. The raw cacao powder packs an antioxidant punch that will help to heal muscles after a workout, so it’s great for a healthy snack. Blend the coconut oil, honey, almond butter and raw cacao powder together. Add the salt and vanilla and stir. 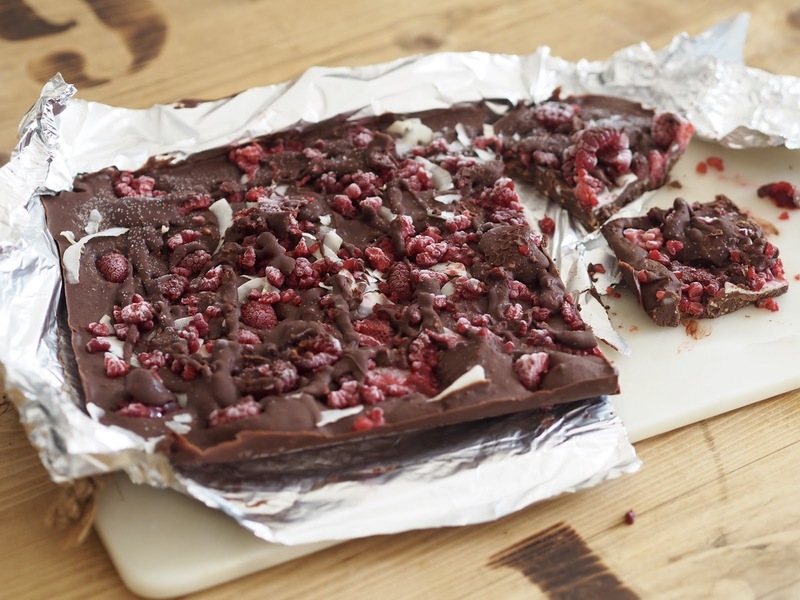 Once blended, pour over some foil into a dish, sprinkle the raspberries and coconut on the top and freeze for an hour before slicing.